Dwaynamics is raising champions through sport. CEO and founder, Lorraine Jones tragically lost her son, Dwayne Simpson to knife crime in Brixton. Following this awful event she vowed to overcome the issues within the community and ensure that other families and communities did not have to suffer the loss that she did. Dwayne started running boxing classes for kids, highlighting the lack of services in the area. Following his death, his mother registered the boxing group as a Community Interest Company, encouraging larger numbers of children to attend boxing classes twice a week, free of charge and expanded the programmes to offer free education and life-skill support. The skills that the children learn at boxing encourage them to commit to something outside of their school from a young age. This learnt behaviour is imperative to the growth of these children to ensure that they stay dedicated to studies, work and to avoid the temptations of gang culture. 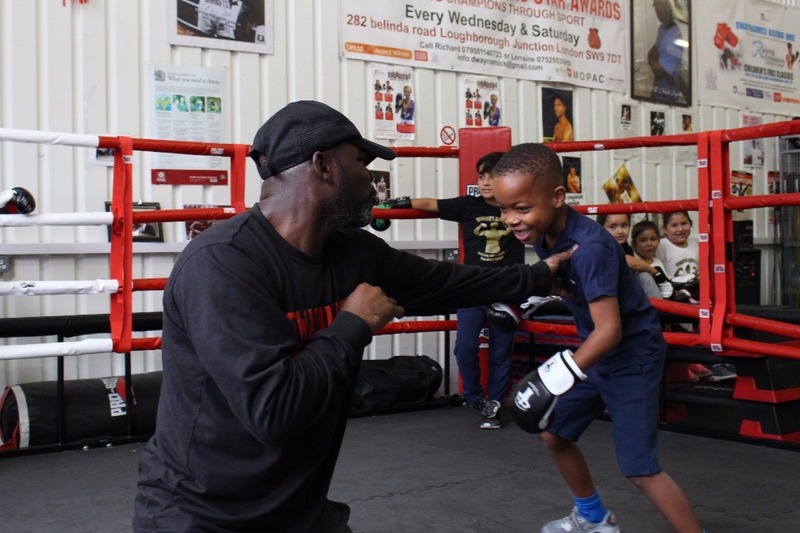 The boxing coaches are mentors, teachers and friends of each of these children ensuring that they instil a work ethic in each individual before they can graduate from the boxing course.